Mancunian Cookson began life as a right-back with South Salford Lads' Club and then played for Clayton and Manchester North End before he was signed by Manchester City in 1923. 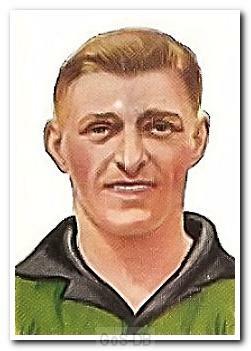 Failing to make a breakthrough into City's first team, he was loaned to Southport for a trial period in 1924, and then moved on to Chesterfield the following year. His conversion to a centre-forward at Saltergate saw his career take off and break records galore, scoring a remarkable 85 goals in just 74 games. Signing for West Bromwich Albion in 1927, he continued to bang in the goals - 103 in 122 games - and was a key part of the team that won the FA Cup and promotion to Division One in 1930-31. 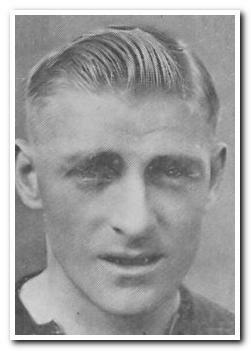 He was also selected for the FA tour of Canada in 1931. In one match for the Midlands club he scored six times, against Blackpool in 1927, with five coming in a 24 minute spell in the second half. A move to Argyle in 1933 did not blunt his instincts; his great quality: a willingness to shoot, and shoot early, whenever a chance came his way. His rich scoring form continued, especially in his first year in green, when he bagged close to a goal a game. After three seasons at Home Park, he ended his career at Swindon Town, where he was as prolific as ever, scoring 31 goals in 50 games. I painted this picture of my grandfather Jimmy Cookson.